Has someone ever made a strong impression on you with just their style and appearance? Then you became intrigued and wanted to get to know that person simply because of the first impression that seemed inviting. Similarly, the entryway ideas of your house can send a certain message to your guests, and its style can say a lot about the rest of your home, and yourself. The entryway is that first impression, and there are simple, but stylish ideas you can use to make that impression warm and welcoming. 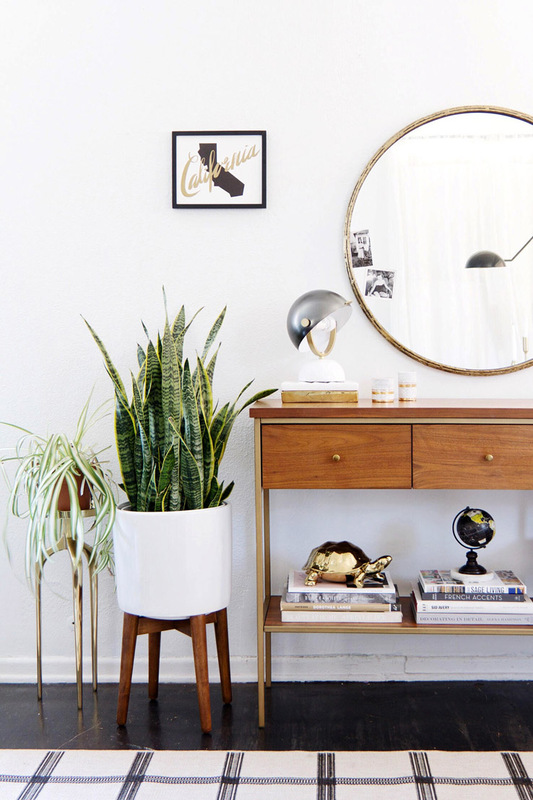 The first step you need to take is cleaning the clutter from the entryway. You don’t want old mail and a pile of shoes to be the first thing your guests see when they enter your house. Disorganization and clutter don’t make a good first impression. Using decorative boxes for keys and change is a much better option than just tossing them around. Additionally, you can keep your mail and magazines on a beautiful tray. Once you declutter the area, you can move on to restyling it and adding some flair. When it comes to choosing a style for your entryway, the safest option is to go with the same one you used for the rest of the house, or if you opt for a different one, you should make a smooth transition. Of course, if you’ve chosen the eclectic style, you don’t have to worry much about styles being incompatible, but rather work on finding the way to connect them. If you go with the same style throughout the house, you can try out a different theme in your entryway. You can pick a theme that will be a sort of a preview for the rest of the house, and then work on the details, such as color, patterns, furnishing, etc. If your entryway is a smaller area, you can use stripes to create an illusion of space. You can do this by choosing a carpet with a striped design and placing it along the longer walls. However, stripes are an interesting design choice regardless of the size of the room. By opting for the striped walls, or even ceiling you can achieve an amazing and stylish effect. No matter the size of your entryway, you should add a comfortable chair or a bench in it to create coziness. Having an additional seat in the entryway ideas is helpful, especially when you throw a big party and need some extra seating. Furthermore, it will be a perfect spot for reading your mail or taking your shoes off when you get home. Using the walls is a perfect solution if you don’t have a lot of available space in the entryway. To avoid cluttering the area, you can use simple, but stylish hooks for hanging coats, hats, and bags. It will keep items off the floor, provide you with extra space and it will look chic. Adding storage units is a practical solution for keeping shoes, instead of piling them on the floor. You can opt for a fashionable unit that you can attach to the wall, and then work out the details around it. You can hang a mirror above it, or add some artwork for a more stylish effect. If you have a problem with organizing a small space, but you really need additional storage compartments, you can seek help from home improvement contractors. They can figure out how to make the most out of your small entryway and meet your needs. As in every other area of your home, find a way to express your personality and taste. If you focus on your individuality, you can create a unique entryway ideas that will intrigue your guests. You can show off the works of art that you love, personal photographs or your travel souvenirs. This way, the entrance to your house will feel warm and personal. First impressions can say a lot about your home and your personality, so make sure to make them count. It’s completely up to you whether your visitors will love or hate your home design at first sight.